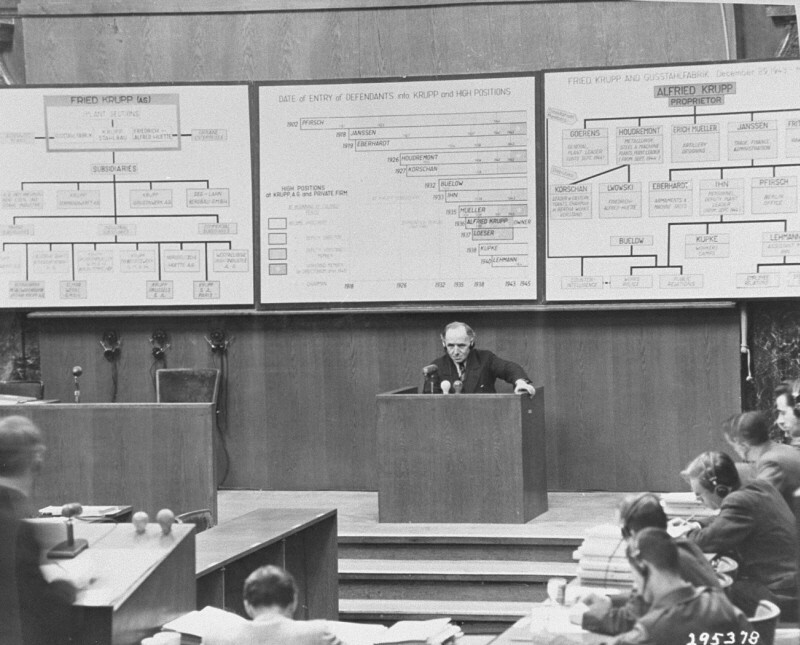 Walter Gumpert testifies for the prosecution during the Krupp Trial. Gumpert worked as a machinist at a Krupp factory. December 16, 1947.